As developed wells continue to produce, these completed assets undergo thermodynamic cycling consistent with the production life of the well. The constant loading on these wells induce stresses that are ultimately transmitted to the annular cement sheaths that were intended to provide isolation of formation fluids from the surface. If these cementitious barriers become compromised, integrity issues proliferate and transmit downhole pressures to the surface. These problems are exasperated if the primary cement job was compromised during initial placement due to such complications as losses. Channels and micro-annular leak paths are responsible for these phenomena of observed pressure at the surface. To remediate these integrity challenges, the unconventional application of resins has proven to be a cost-effective solution for the restoration of isolation. With over 141 successful interventions to date, Wellcem has developed a series of standard operating procedures that help ensure successful remediation of these challenges. Implementation of five critical measures during job execution can assist in the satisfactory sealing of these communicatory pathways. Pre-job pressure testing should always incorporate verification of all wellhead valves across which annular treatment will ensue. A leaking gate valve can introduce a myriad of problems during initial injection as well as unwanted displacement by annular fluids during the setting of the annular plug. Before treatment, a mandatory injection test is performed to verify the communicatory pathway across which Thermaset® can be injected. Water is often the fluid of choice during this analysis, as its Newtonian profile closely models the rheology and fluid dynamics of Thermaset®. It is during these tests that injected water can occupy the void spaces of the compromised cement sheath and fill porosity - potentially preventing their future displacement. This can ultimately heightened circulating pressures required to displace water from these voids with resin. Should such pressures exceed the collapse and burst pressures of downhole tubulars, or the maximum operating pressure of surface equipment, insufficient injection of resin will occur. Therefor, such diagnostics should therefore not be performed in tandem with the remedial operation and executed before treatment to allow evacuation of these voids. Read also our blog article "Resin curing process" and our case "Sustained casing pressure". Well Integrity issues are often non-singular and can manifest themselves as multiple downhole challenges. In some instances, an observed surface pressure is a result of communication from one annulus to another via a shallow casing leak. These leaks often result from galvanic corrosion or oxidation of tubulars. 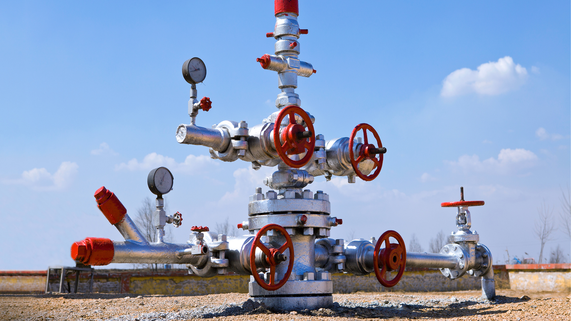 Identifying a shallow communicatory leak from one annulus to the other facilitates complete and successful remediation of the sustained annular pressure on the affected asset. 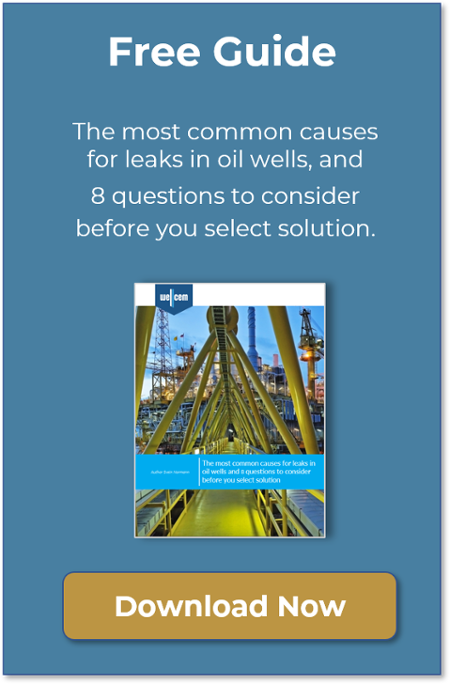 If a shallow leak is initially identified, it should be secured before isolating the source of produced fluids. Sealing the casing leak helps to prevent unwanted displacement of large and wasted volumes of resin into the tubular leak path in an attempt to seal the source. With proper volumetric displacement, the casing leak is solved first, and then the channel or micro-annuli responsible for pressure transmission can be properly sealed. 4. Always remediate sustained casing pressure from inner annuli outwards. When sustained casing pressure is verified in multiple annuli and are not interconnected, they should be treated from the inner annulus outwards. In other words, if there exists sustained annular pressure on annuli A, B, and C, treatment should first start with annulus A, before progressing to annulus B, and finally conclude with the remediation of the C annulus. This procedure should be employed if tubular integrity is verified and no communication across each annulus has been confirmed. The justification for this methodology is substantiated through the treatment pressures applied to each annulus. As remediation progresses concentrically outwards, the applied treatment pressures and pressure ratings of each casing decreases. Therefore, the pressure that can be applied to the A-annulus will be higher than treatment pressures on the B and C annulus. Once A annular integrity has been restored, the B-annulus will be treated at a lower pressure that will have less influence on the A annulus that was cured first. The lower pressure applied to the B annulus will be less than the pressure that was applied to the A annulus and therefore have less of a chance of disturbing the remediated A. Where execution to progress from outer annuli inwards, the elevated treatment pressures of inner annuli can potentially lead to ballooning of tubulars that can disturb the outer annuli that were treated at lower pressure. Annular leak paths are often geometrically tortuous with limited permeability and minimal volumetric porosity. Thus, the volume required to fill such voids is significantly small. Triplex pumps of assorted plunger diameters result in large displacement volumes at varied rates. These large displacement volumes coupled with high operational pressure capabilities are not preferred, as they can often further compromise the integrity of the damaged annular sheath. Alternatively, small displacement pumps, such as Haskel pumps, are ideal for such applications due to their small displacement volumes and relatively high operating pressures. These pumps efficiently convert compressed air into hydraulic power and are capable of holding a set pressure for a sustained period as is required in these remedial applications. As completion of assets with cement continues to be the primary mode of isolation and as wells continue to undergo cyclic stresses attributed to production, annular integrity challenges will continue to manifest themselves. Implementation of such guidelines can help ensure successful remediation of sustained casing pressure /annular pressure on these affected assets through the introduction of this unconventional, rig-less, and cost-effective strategy. Sean has worked as a field engineer in the US and Gulf of Mexico as well as the Dutch, Danish, and Norwegian sectors of the North Sea, and across the middle east in the U.A.E., Oman, and Saudi Arabia. He currently serves as Project Manager of the Middle East for Wellcem. Mohamed Aly Tawfik has been with Wellcem since 2012 working in Saudi Arabia with lost circulation plugs, squeezes and casing to casing leaks. He is now Operations Coordinator at Wellcem.